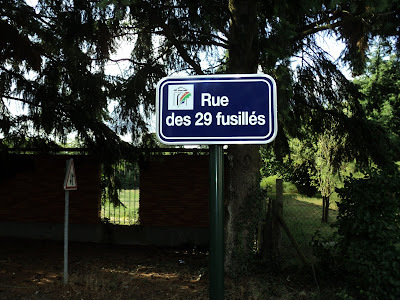 On June 9, 1944, about 30 students from La Ferté Saint Aubin and the Paris area gathered in and around Le Ferme du By in La Ferté to await an arms shipment that was to have been dropped by air in a forest. Unfortunately, the mission of these young Resistance members went horribly wrong. They had been turned in to the Gestapo by one of their fellow members. At about five in the morning on June 10, a handful of Orléans-based Gestapo brusquely summoned the young men from their slumber. They were dragged to the courtyard at Ferme du By, hands on their heads, and questioned. The terrorized women who were hosting the group were sequestered. Two other men, George Barbe and a recently-escaped Tunisian forced laborer, Hassen ben Mohammed, managed to hide in straw piles in a barn. 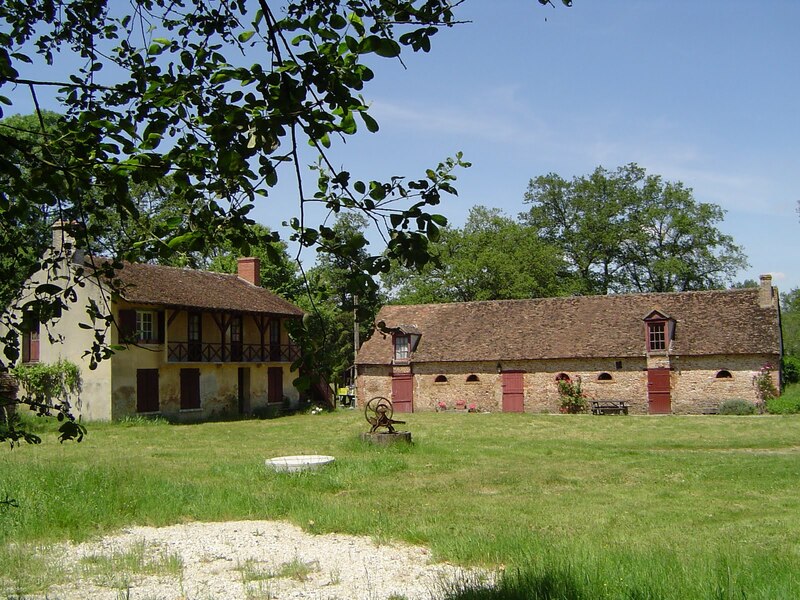 Octave Lecomte hid in a horse feeding trough, and was later able to alert fellow members in nearby Ligny-Le-Ribault about the tragedy. Outside with the Gestapo, the traitor, André Parent, came forward before his peers and displayed his Gestapo membership card. Parent, a mathematics student from the Paris area, began explaining that the young men were to receive a parachuted shipment of arms. He showed them a ditch that was prepared for its stockpile. The Germans asked who the group leader was, but only Claude Soreph knew. He remained silent to his grave. The men were asked to drop their identification cards on the ground and were separated into two groups. The first group was marched to nearby woods and shot execution style. All died except for Lucien Schmandt, who was on one end of the group. His wounds were not mortal; he laid and played dead. A bullet had ricocheted on his arm without touching his head. The second group was brought quickly and the same scene followed; Schmandt heard it all. After the Germans' departure, he was nursed back to health by locals in secrecy. That same horrid morning, in another nearby town, Marcilly-en-Villette, thanks to André Parent again, the Germans uncovered a second group. The Resistance leader had received word to evacuate but could not do so quickly enough. And so, another twelve young men were executed there in a clearing at Cerf-Bois (Deer Woods). Local authorities were asked in a letter the following day to retrieve the men's 42 bodies, the sender being unaware that Schmandt had escaped death. All in all, 41 young men lost their lives on June 10, 1944, including two men from La Ferté, Gabriel Beaumarié (honored yesterday) and Maurice Millet. Tomorrow, I will tell you about Millet and how he and all the others' memories are being kept alive.